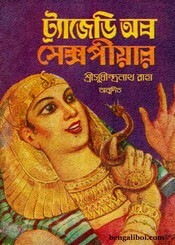 There are Bengali translated eight tragedy stories collection in this book. All these stories are written by the great English poet and dramatist William Shakespeare and translated into Bangla by Sudhindra Nath Raha. These translated tragedy stories are- 'Macbeth', 'Romeo and Juliet', 'King Lear', 'Othello', 'Richard the III', 'Antany and Cleopatra', 'Julius Caesar', 'Hamlet'. So Shakespeare's fond can collect this book as pdf. The ebook pdf has 156 quality pages, 14mb file size.